The Gathering Committee has been meeting on a regular basis to ensure that our SUCCESS will prove to be greater than the previous years. This Pow Wow/Gathering has been growing every year and gets the most admirable reviews from many different cultures and community feedback. We have had made many memories and experienced many partnerships from a very broad spectrum from the Local Parke County Community to Statewide Government awareness. The property is well policed and the Tribe does not tolerate "any" negative actions from anyone. This practice has helped us to establish a highly respectable status across the country. Our deepest Thanks to the Gathering Committee for all their hard work and the diligence of a non-confrontational approach has proven to be a benchmark for Committees within the Tribe! Roger Trahin - Miami - Co-owner Trahin Miller Insurance Services, Indianapolis. Joan Calvert-Weaver - Honorary Miami -interviewed Wap-Shing, the Miami Indian Spiritual Leader, in 1993, for her master's thesis at Ball State. She worked seven years to research, acquire and then have restored the 1860 Miami Indian Village School. Since retiring from corporate training and design at GM, Joan loves hiking, traveling, IU basketball, volunteering and the Colts. Alan Weaver - graduated from Manchester College and worked in retail until recently retiring. After marrying Joan, in 2002, he became interested in volunteering for the Miami Indians. Alan enjoys traveling, auto racing, the Chicago Cubs and the Indianapolis Colts. Bill Buchanan - Miami - He is retired and resides in Lizton, Indiana and is married to Joyce Buchanan. They have 2 children, Troy and Trevor. Shane Fox - Miami - holds a Grandfather Council Seat for the Peconge Clan. He is married and has 3 children and resides in Beech Grove, Indiana. He is an Engineer at Eli Lilly Corporation in Indianapolis. 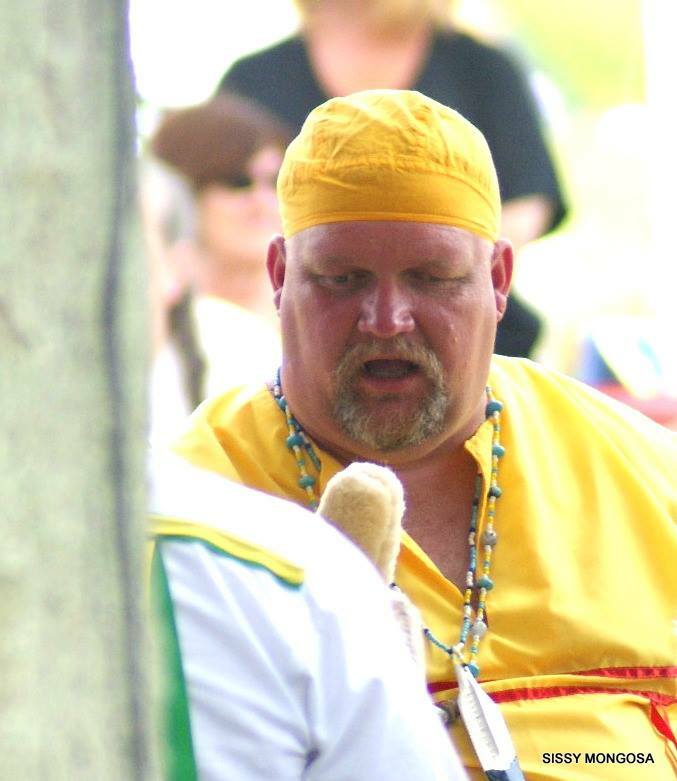 Shane is a Lead Singer for Twigh Twee and travels to many events to share and sing the Miami Nation of Indiana Drum Songs. Charlie Bridenthal - Councilman Bridenthal is married to Krista, and has three children, Eli age 10, Sammy age 8, and Maddie age 6 (November 2014). Currently resides in McCordsville, Indiana. He is a Professional Landscape Architect registered in the State of Indiana actively practicing since 2002. He has collaborated on several Site Architecture projects across Indiana. From 1988-1999 I served in the United States Air Force as a jet engine mechanic working on F-15 aircraft. In total, has served four years active duty and 7 years with active reserves. Duty assignments included two years at Bitburg AFB West Germany, 3 Months at Dhahran AFB Saudi Arabia in support of operation Desert Storm, and 2 years at Seymour Johnson AFB, North Carolina. Charlie is a member of the Miami Nation of Indiana Police Force. Carl LaVoncher -Carl is the Police Chief and Long Term Councilman for the Miami Nation of Indiana. 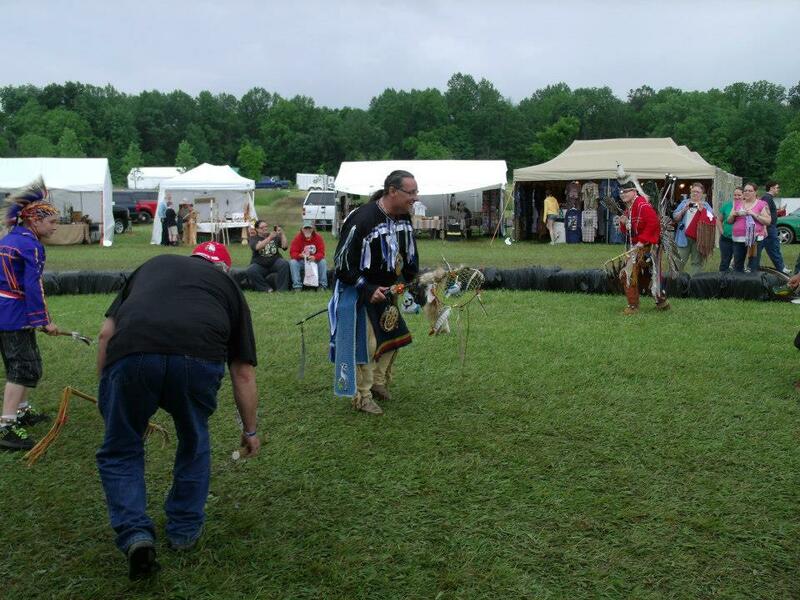 Please take the time to view upcoming material and photos of past Pow Wows to gain a better understanding of this event. Co-Host Drum - "Thunder with the Hands"
I am honored to announce that we will have our extended friends "Thunder with the Hands" join us again this year at the Pow Wow. These folks are some of the most wholesome, kind-hearted Native People that we Miami have had to join and fellowship with at any Pow Wow! It will prove to be yet another Great weekend! They travel from Ohio to join us and we wish them safe journeys! Special Thanks goes out to all members for their friendship. A man can never be broke when he has a valued friendship like we have with all of the drummers from "Thunder With The Hands". We are honored to know you ! WE ARE PLEASED TO hAVE THE FOLLOWING STAFF AND DANCERS AND HONORED THEY HAVE ACCEPTED THIS INVITATION TO REPRESENT THE TRIBE FOR THIS YEARS FESTIVITIES! Aaron has been a long time friend of the Miami and his admirable delivery and spirituality is highly respected among the Native Community. Thank You Aaron for your Leadership and devotion and we are honored to have you back this year! The Gathering Committee has been meeting on a regular basis to ensure that our 11th Year of SUCCESS will prove to be greater than the previous years. This Pow Wow/Gathering has been growing every year and gets the most admirable reviews from many different cultures and community feedback. We have had made many memories and experienced many partnerships from a very broad spectrum from the Local Parke County Community to Statewide Government awareness. The property is well policed and the Tribe does not tolerate "any" negative actions from anyone. This practice has helped us to establish a highly respectable status across the country. My deepest Thanks to the Gathering Committee for all their hard work and the diligence of a non-confrontational approach has proven to be a benchmark for Committees within the Tribe! 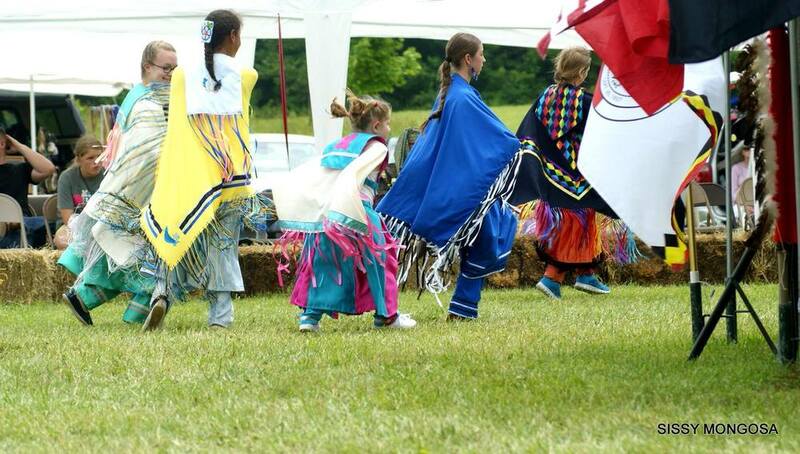 6:00 PM Evening Grand Entry: Traditional Entry into Dancing Arena and Retiring of Colors. 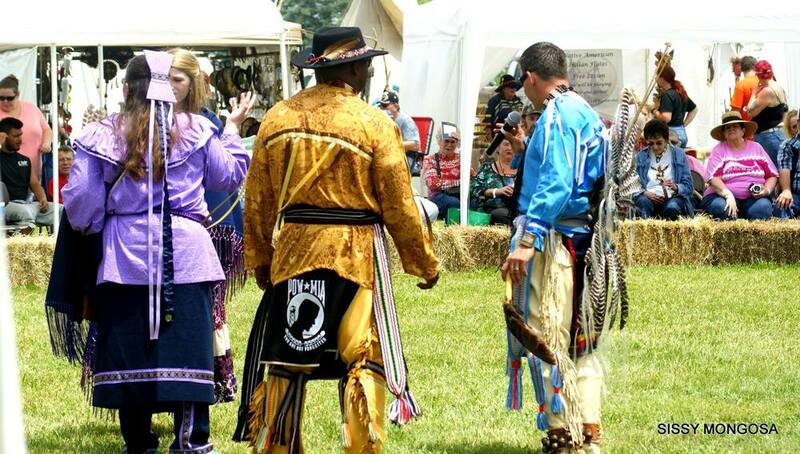 I am honored to announce that we will have our extended friends "Thunder with the Hands" join us again this year at the Pow Wow. These folks are some of the most wholesome, kind-hearted Native People that we Miami have had to join and fellowship with at any Pow Wow! It will prove to be yet another Great weekend! We attended an event at the Wright Patterson AFB this past year as their guests and the hospitality shown to us by them was among the stars! Lets return that Hospitality! They travel from Ohio to join us and we wish them safe journeys! Special Thanks goes out to Bill and Matt Lawson for their friendship. A man can never be broke when he has a valued friendship like we have with all of the drummers from "Thunder With The Hands". We are honored to know you ! WE ARE PLEASED TO HAVE RETURN DANCERS AND HONORED THEY HAVE ACCEPTED THIS INVITATION TO REPRESENT THE TRIBE FOR THIS YEARS BICENTENNIAL! If you are Native, then you ALL know Leroy. His presence is highly honored by the Miami. Leroy has been helping us for many years and we owe him many thanks for all he does and all Native People throughout the State of Indiana! 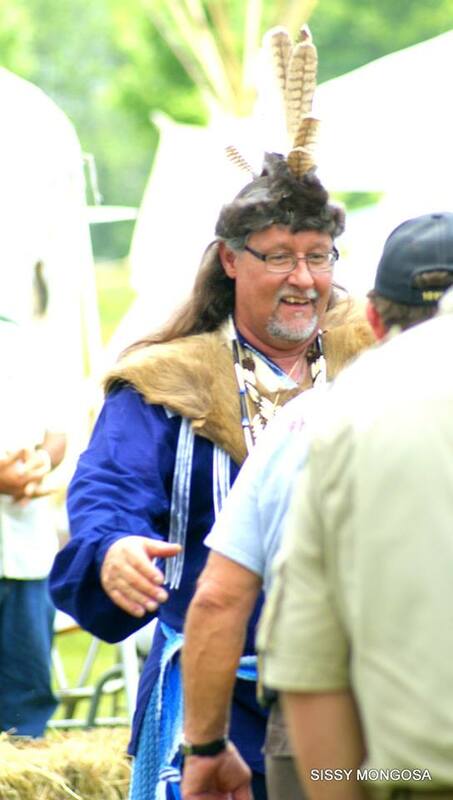 He has been Master of Ceremonies for, I think, about every Pow Wow in this State. Whenever I have attended a Pow Wow, you can bet Leroy is somewhere. He has portrayed a legacy that we all should stop and absorb his wisdom! 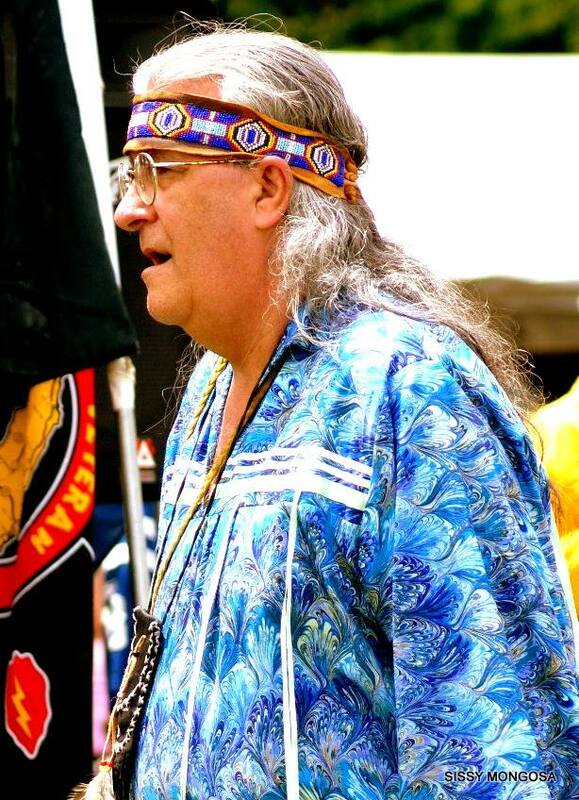 Thank You Leroy for your devotion to all Native people! We are honored to have you back again this year! Isaac David Marks is the 13 year old son of Timothy (Jami) and Christina Marks of the Pimyotahmah Clan. 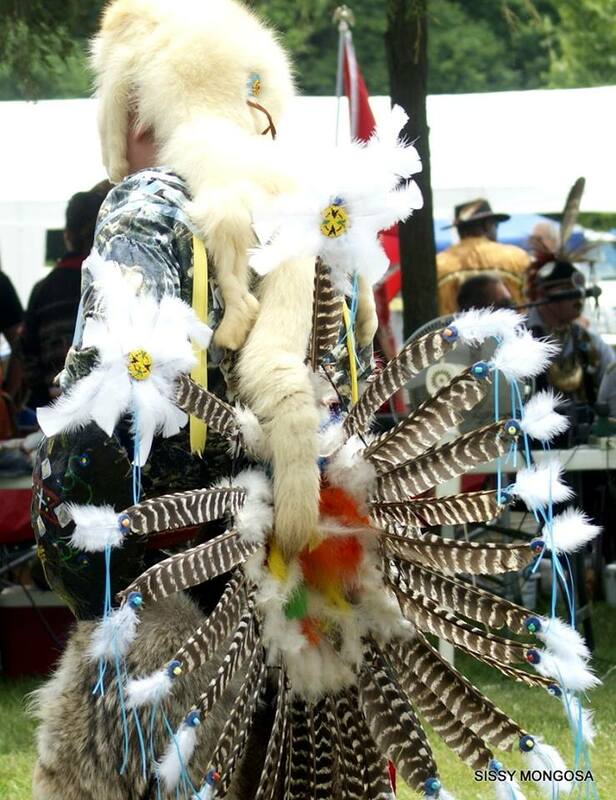 He enjoys attending Pow Wows where he likes to dance and learn about the traditions of his heritage. He attends Saint Paul’s Lutheran School in Fort Wayne, Indiana. He has fun participating in baseball, basketball, and soccer. He also sings in the church and school choirs. He loves playing trombone and the family drum. In his spare time he enjoys video games, camping, fishing, or anything outdoors with his two older sisters Alaina and Jazmine. We are honored to welcome back this impressive Junior Head Man! THIS YEARS 2015 GATHERING WAS A RECORDING BREAKING SUCCESS! THANKS TO ALL THAT MADE IT HAPPEN! The Gathering Committee has been meeting on a regular basis to ensure that our 9th Year of SUCCESS will prove to be greater than the previous years. This Pow Wow/Gathering has been growing every year and gets the most admirable reviews from many different cultures and community feedback. We have had made many memories and experienced many partnerships from a very broad spectrum from the Local Parke County Community to Statewide Government awareness. The property is well policed and the Tribe does not tolerate "any" negative actions from anyone. This practice has helped us to establish a highly respectable status across the country. My deepest Thanks to the Gathering Committee for all their hard work and the diligence of a non-confrontational approach has proven to be a benchmark for Committees within the Tribe! The Miami Nation of Indiana are honored to sponsor the following individuals for this years Gathering. The following people were decided by the Council and we are excited to see them participate and help to educate the Public. Many Thanks to all of you who will represent the Indiana Miami and May the Grandfather Bless your walks! I had to share a very important experience during the preparation for this years Gathering. It is important to offer Special Thanks to Ron Johnson, his son Ron Jr and his wife Vicki for bringing their front loader to aide in the removal of the old roof and the relocation of the gravel over the entrance to complete the double wide capacity for this years Pow Wow. Ron has spent significant time reconstructing this roof. This past weekend was spent having ceremony for 3 and half Cedar Trees and removal of those trees and hard work to install these to the Arbor roof to complete this years Arbor. Ron cut the tress, and was on the ladder and with the aide of his wife Vicki, Steve and Myself he constructed this years Arbor. Thanks Again Ron for everything! Thank You Walter Steiger and Daniel Frey for your time and contribution in helping with the the tear down of the roof from the Arbor. Thank You Trevor Buchanan for your contribution for the installation of the ditch tile and the widening of the front entrance using his backhoe. This will aide in clearing congestion during the Pow Wow of many traffic jams experienced in past Pow wows. Thank You Bill Buchanan for mowing the property and keeping the grounds manageable and looking good for this years Pow Wow. And last but not least Thank You Chairman Steve Buchanan for facilitating everything for this Pow Wow. Your time in, also mowing the grounds, and the usage of the Cedar Trees needed for the Arbor. The STORYLINE: Through all of the hard work donated by everyone mentioned above over the past couple of weekends for these few mentioned tasks, (not to mention all the other preparation tasks by all Gathering Committee Members) we were Blessed by the Grandfather as when we exited the property on Sunday May 31st, to the left/West side parking lot. Standing there sending us off on safe journey, was the Messenger of the Creator, the Great BALD EAGLE. As I snapped several photos, right before I pressed the camera, he would hold his head high with his Majestic disposition to make sure I could see him well. Thank You Grandfather for watching over and Blessing this years Gathering!!! Aaron has been a long time friend of the Miami and his admirable delivery and spirituality is highly respected among the Native Community. 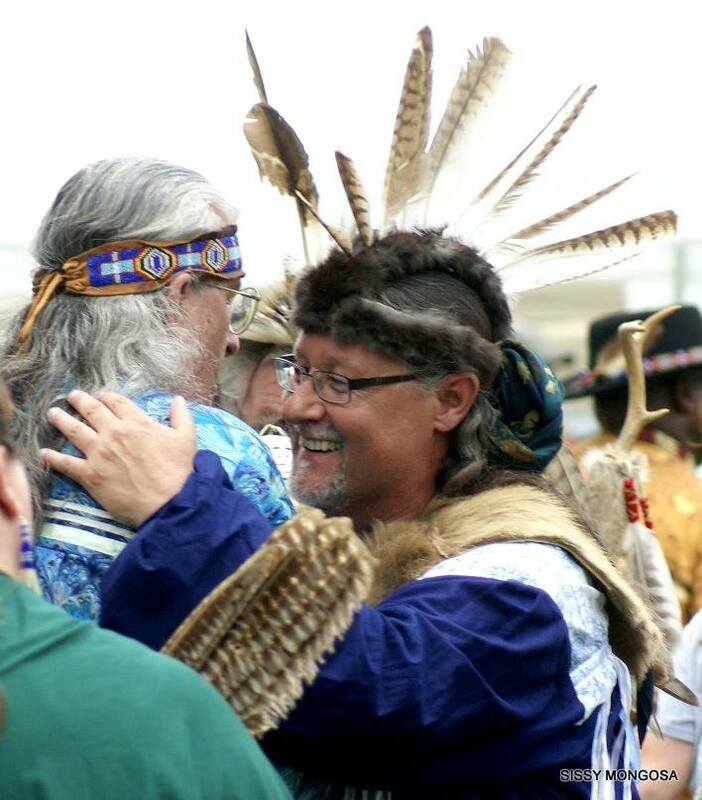 Ricky is Miami has been dancing and attending Pow Wows since he has been able to walk. He is quite familiar with the etiquette. We welcome Ricky and are honored to have his help and knowledge for the weekend. If you are Native, then you ALL know Leroy. His presence is highly honored by the Miami. Leroy has been helping us for many years and we owe him many thanks for all he does and all Native People throughout the State of Indiana! 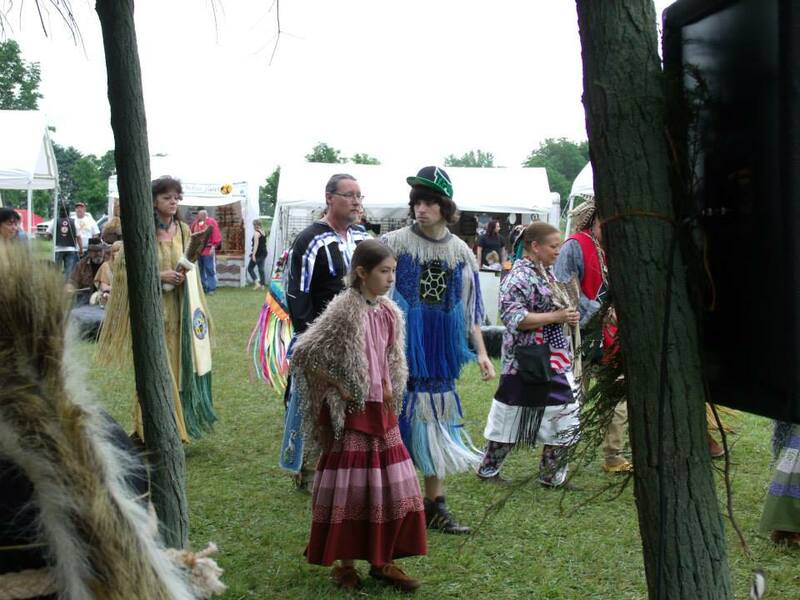 He has been Master of Ceremonies for, I think, about every Pow Wow in this State. Whenever I have attended a Pow Wow, you can bet Leroy is somewhere. He has portrayed a legacy that we all should stop and absorb his wisdom! Shawn is Miami and has been dancing since he could walk!. 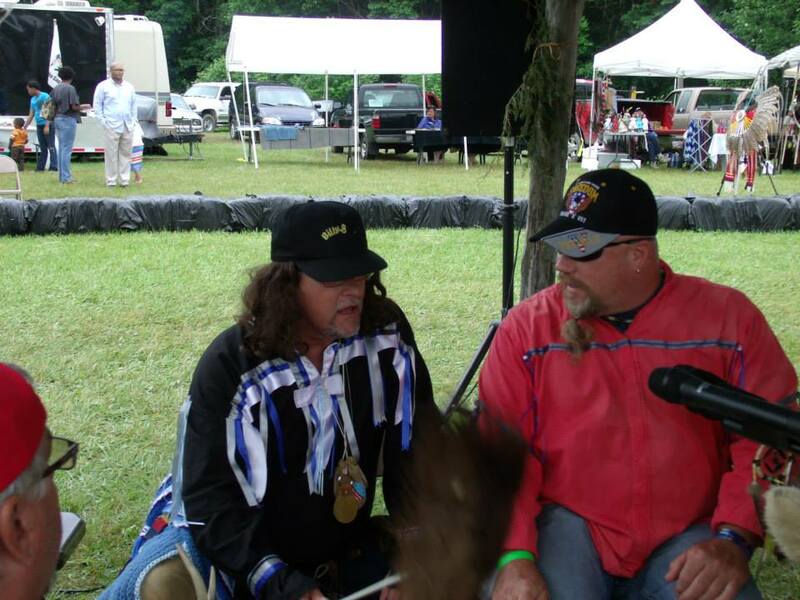 Shawn has been the Head Male for every Pow Wow we have had! We are excited to see him continue to support his people. Shawn has also been bestowed to carry the Miami Nation of Indians of the State of Indiana pipe in this past year. Thank You for helping to preserve our culture! Chasity is a Miami Nation Council Member and we are happy to see her back this year for her second year as Head Female Dancer. 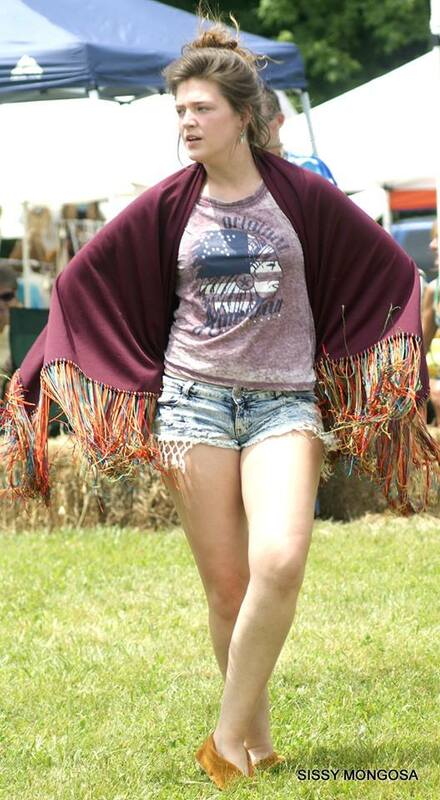 This should be much easier for her this year as she was carrying her son during last years Pow Wow. She gave birth to a beautiful baby boy, named Spencer. Thank You Chas for all of your excitement, dedication, and support that you bring to Council and to all of our Tribal events! Isaac JUST ROCKS!!! 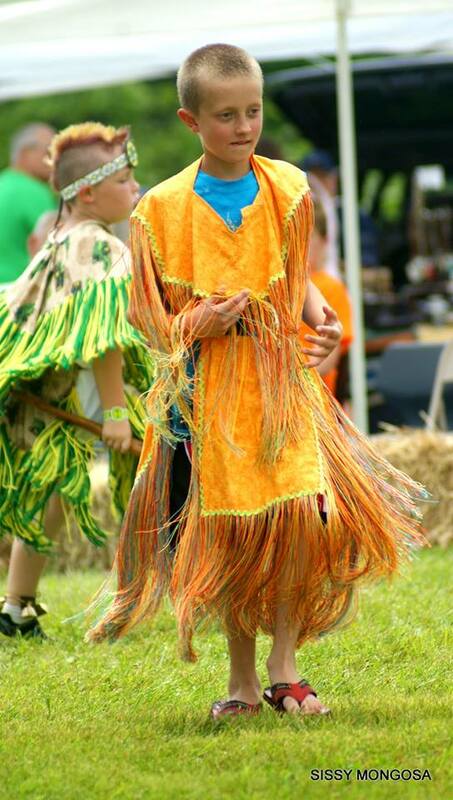 This young man asked me this year if he could dance again at the Pow Wow. I have "NEVER" had a Miami Junior "BOY" ask me that. They all want to drum, not dance. The Gathering Committee had commented how proud they were of him last year and his ability to show his adult maturity. He is a current drummer and a model for all juniors to sit up, watch, and learn. I am proud to have you continue representing our people! Siana is adorable. She has attended so MANY drum events and supported her father, Councilman, Shane Fox. She has supported her tribe and she has watched and learned in preceding Pow Wows. This young lady can dance. This is her first year as Junior Female Dancer and I have high hopes that she will some day be our Head Female dancer. As she grows and continues on the level of confidence and admiration of her heritage, she will , no doubt be successful and respected by many. Congratulations on your first year! Thank You for you participation - We are all Thankful for your dedication and proud to have you represent our people! Special Entertainment this year before the gathering will be provided by Michael Jacobs. See his website sacrednation.com for more details on this award winning recording artist! Thank You Michael for coming back this year and sharing your music. We also welcome back the Indy Hula Dancers. They have been our guests for a few years and always provide a wonderful insight on the Hawaiian Culture. See their website http://www.indyhula.org/ for more about the Polynesian Culture and Arts.